Ok, I admit it; this article may be counter to public opinion. This article may strike someone as “that is not possible.” Once you read the next sentence, you will understand the title of this blog: I believe in people diagnosed with autism. So call me controversial because I choose to believe in our kids and their future. I do not accept a “there is no hope, nothing you can do prognosis”. I believe they can overcome a label. I believe they can live healthy lives. I believe they can attend neighborhood schools. I believe they can learn typical curriculum just like their typical peers. I believe they can play sports. I believe they can have play dates and enjoy activities with friends. I believe they can go to school dances. I believe they can go to school prep rallies and football games AND HAVE FUN. I believe they can invite someone to go to a school dance. And go! I believe they can go to college. I believe they can date. I believe they can get married. I believe in recovery after speech, behavioral, occupational therapies, and medical treatment unique to their needs. I believe individuals with autism can recover. I am one of those family stories. My son Jeff has made astounding progress. Had I believed his prognosis over a decade ago, he would not be living with our family. He is thriving and continues to work through his list of “cannot do’s”. Each year we marvel at what he tackles next. I also believe that sadly some individuals will not recover from autism, but we can’t predict that. I DO believe all individuals can make progress toward leading a fulfilling life. I know all individuals deserve the hope and chance to improve their condition. I am committed to keep looking for answers to help all TACA families—ALWAYS. I wanted to share my thoughts right here. I know we have more answers to find. Until we find them, I will continue my diligent efforts, I will keep fighting for a better future and until someone proves that there really is nothing you can do I will remain hopeful. I believe in our kids. Our son, who was predestined to be institutionalized by age ten when disagnosed with severe autism, voted in the election today. This was his first time for President and no we don’t know who he voted for because he made those choices. Actually spending quite a bit of time researching it this year. He would never be where he is if we had listened to that “expert” and did not believe in him and work toward healing. He currently is in college, working, volunteering, and just made the Dean’s List for the second time. It’s possible, it’s happening and we need to think this way for our children. Thank you for writing this Lisa and posting it today on a day of such historical importance. It means a lot to us and so many others. 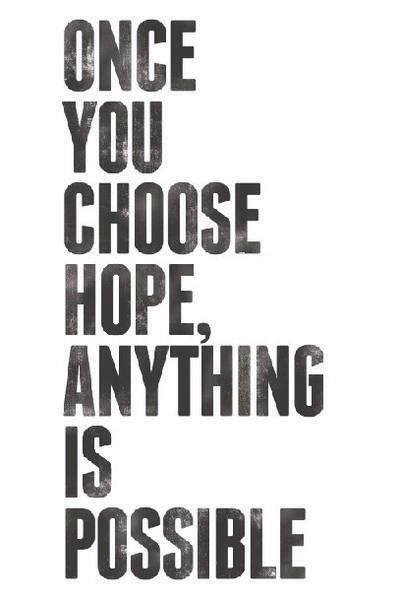 Hope is a verb folks…..DO IT! And I believe as well and its stories like this that give me hope. Thank you for sharing as you always do. My son was diagnosed at 24 months. He is currently 38 months and has made tremendous improvement over the last 14 months. I have hope for a regular classroom and a bright future for this child, the heart of our home and the love of my life! Lisa, What did you do to assist your son’s recovery? When my son was diagnosed there was little that we could try. Now there are so many treatments that it’s difficult to know where to start. What’s more is that I have very little support (school system, local developmental doctors) and limited funds to “throw” at the “next big autism cure”. What would you suggest? My son is not yet recovered. He has greatly improved. He has had a combination of traditional therapies (speech, occupational therapies and applied behavioral analysis) plus biomedical treatments to address his unique issues. The TACA foundation and website contains the blueprints for what parents can consider. Check out: https://www.tacanow.org/family-resources/autism-journey-blueprints/ for details. Also sign up for a FREE TACA parent mentor to help you at http://www.tacanow.org. 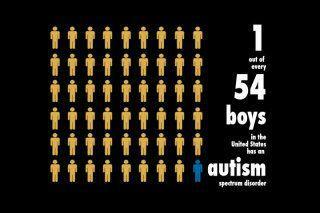 The bottom line is Autism is treatable!! When our son was 2 and recently diagnosed one doctor told us – verbatim – “there’s nothing you can do.” BS. Our son is now 4 and got a glowing review from his preschool teacher – he’s started interactioning with other kids, he’s starting to understand emotions, he went from nonverbal at 2 1/2 to now, less than 2 years later he can’t STOP talking. Not all the way there and lots of challenges ahead, but making lots of progress. We’ve been trying the kitchen sink – ABA, speech, PT, OT, Floortime, GF/CF/SF, and tons of biomed. What works for some kids may not work for others, so just keep trying and see what works. There’s so much out there these days.